Hand Sanitizer at Work? Do We Need It? 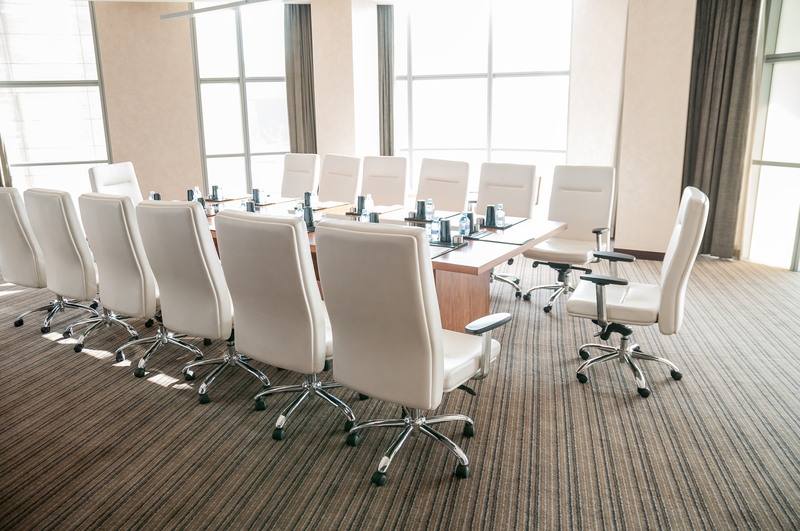 Experts say that offices tend to have much more germs than other territories. What are the dirtiest things at the office? The answer is easy…the phone, computer and your desk. Scientists say that there are 400 times more bacteria on your desk than on an average toilet seat. So, do we need a hand sanitizer at work? 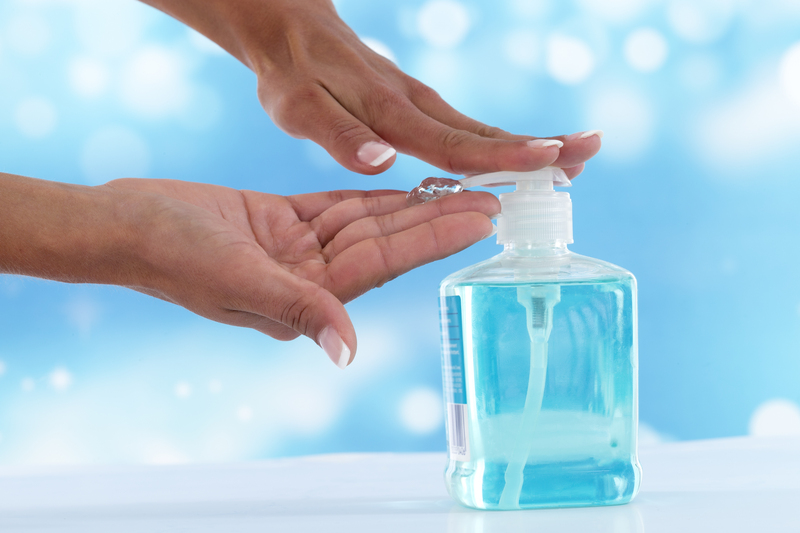 Hand sanitizer at work will help you to get rid of bacteria, but you also need to remember that you need to wash your hands as often as possible and disinfect your workplace, telephone and computer with special disinfecting wipes. It is recommended to keep a bottle with hand sanitizer on your desk. Also place several bottles in public areas, kitchen (if you have one) and in a break room. If there is a special phone or other equipment in your office that is used by many people, place hand sanitizers near them too. It is not recommended placing hand sanitizer in the restroom, because employees may substitute washing hands by using sanitizer. You need to remember that some bacteria cannot be killed by hand sanitizer that is why it is highly recommended washing the hands as often as possible, especially when the flue season starts. Be healthy and take care! A CD-ROM is one of the most delicate electronic items, so you should take good care of it if you want to work it properly. You should be aware that you need to clean your CD-ROM drive from time to time. How should you know when exactly it needs cleaning? There are a few signs that will help you recognize when your CD-ROM drive needs to be cleaned. If a CD-ROM drive doesn’t work it’s definitely a sign. If the drive is having a hard time reading a disc, it’s a sign as well. Another sign is a profusion of weird noise while the drive attempts to read a disc. A fourth sign is if your disc skips. These are the most common signs that might necessitate cleaning your CD-ROM drive. So, what products should you use to clean your CD-ROM drive? The answer is simple — air. Warning! DO NOT blow into the CD-ROM drive. We meant compressed air. Your breath contains moisture that can cause even more problems to your computer than you have now.You can buy cans of compressed air at most places that sell electronics and computers. Use the compressed air wisely. In some cases it can be harmful to you and your computer. Many compressed air cans contain toxic and hazardous chemicals. Don’t throw an empty can in the trash. Take it to a hazardous waste disposal facility. And now for your consideration, here are a few advices on how to prepare your CD-ROM drive for cleaning. Turn on your computer. While it works open the drive. Then turn off your computer, leaving the CD tray open. Remove any disc you may have in the drive. You can find a lot of «helpful» videos in the internet that will give you an advice to take your CD-ROM drive apart. Don’t listen to them! You will run the risk of permanently damaging your CD-ROM drive. And your warranty will become invalid. Better contact the website or call the store where you bought your computer and ask for advice. If your computer is still under warranty, you are lucky one. In the warranty paperwork you will find a phone number that you can call in situation like this. Is it safe to clean high rise windows? How to clean the windows of high rise buildings and skyscrapers? The answer is with the help of professional high rise window cleaning service. Professional cleaning companies have specialized equipment to clean the windows of high rise buildings. Cleaning windows of tall buildings is a dangerous task, impossible to complete without the properly trained cleaning specialists. They are trained in the proper methods and cleaning techniques that are involved in this not an easy process. The employees of high rise window cleaning services undergo safety training and are insured because their occupation is very high risk. Safety takes priority in such kind of work. High rise window cleaning requires the use of specialized equipment to properly perform the job. Window cleaners use products that remove salt residue, hard water stains, pollen and dust. The products they use do not leave streaks or soapy residue on the windows. High rise window cleaning companies buy only high quality products, they won’t do the same work twice only because of the poor quality of products. In most cases they use commercial cleaning products. There are many factors that must be taken into account when washing the windows of high rise buildings. Some of them include the design and shape of the building, surrounding areas (parking lots, trees, etc. ), weather conditions and the daily activity associated with the building. Each factor affects the amount of time that is needed to access and clean the windows. Many cleaning companies prefer to clean the windows at night or on the weekends to eliminate such factors as weather conditions and daily activity associated with the building. Hotels, hospitals, condominiums, shopping malls, universities and industrial plants use the services of high rise window cleaning companies. Some high rise window cleaning companies also provide interior window cleaning services will other companies only focus on cleaning the exterior windows. Most high rise window cleaning services are performed about twice a year. Newly constructed buildings should be cleaned up to four times in their first year of existence. If you want to extent the life of your computer monitor, preserve your vision and save your money you should know how to properly clean your monitor. Before resolving the problem what product and tool you need to use to clean your monitor, determine the type of your computer screen. It really depends. Generaly, there are two categories of computer monitors: CRT or LCD. Cathode Ray Tube (CRT) monitors are older models. Their screens are made of glass, that’s why you can clean them with commercial cleaning products. Liquid Crystal Display (LCD) monitors on the contrast store multiple sheets of a non-glass polarizing material with a layer of liquid crystal solution in between. That’s why you cannot clean LCD monitors in the samemanner as glass CRT monitors. Remember that you should be very careful during the cleaning process. When cleaning CRT monitors it’s better to vacuum them prior to cleaning. There are many cleaning products recommended to clean glass monitors, Windex is among them. But remember, you should never spray a liquid cleaner directly on a monitor, as the cleaning solution could seep into the screen. Always spray the solution on a soft cloth or paper towel, and then gently wipe the glass monitor. When cleaning LCD computer skreens you should be even more careful. You can seriously damage your LCD monitor if you choose the wrong type of solution. You must remember that you simply cnnot use a cleaner that contains acetone if you want to prolong the life of your monitor and save money not buying a new one. You can use gentle microfiber cloth or a soft cotton rag to clean your LCD monitor.